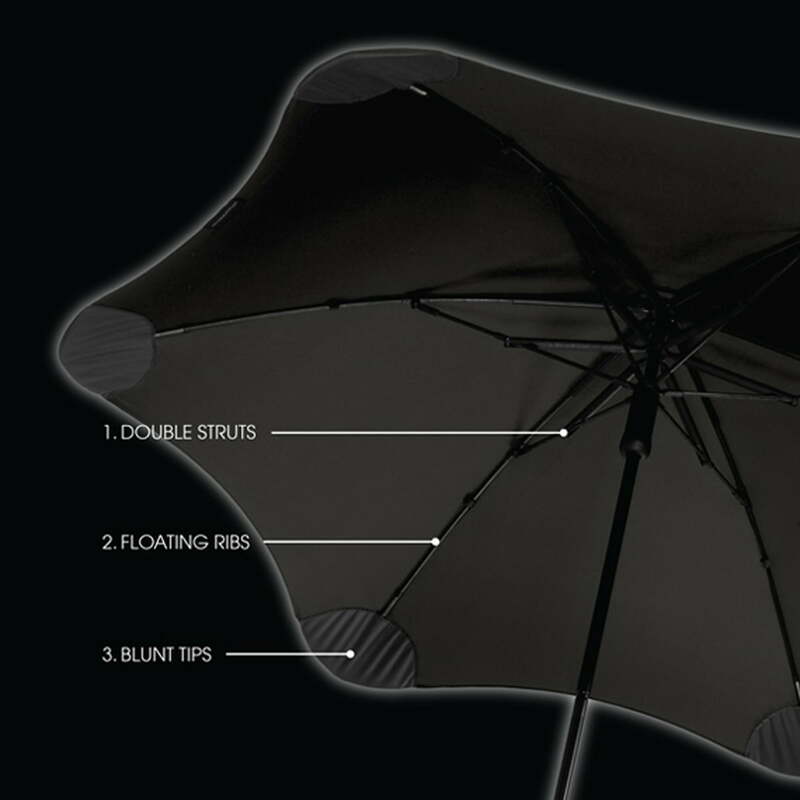 The aerodynamic form and the advanced technology ensure that the Blunt XL umbrella resists wind speeds of up to 120 km/h. The XL edition is especially large and has eight struts that despite its size ensure stability in all kinds of weather. 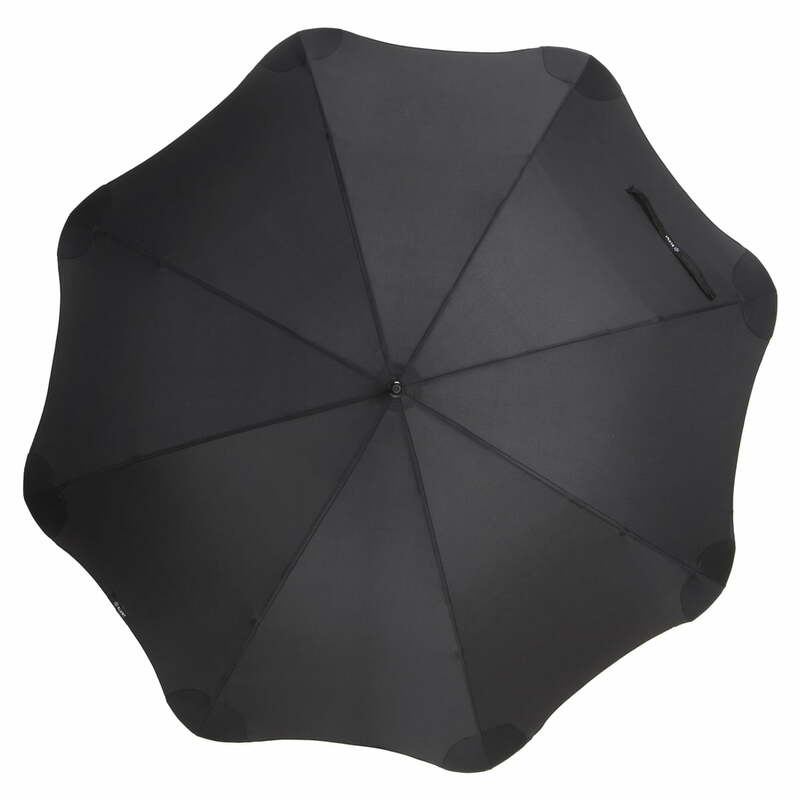 In addition the Blunt XL storm umbrella doesn’t have any sharp, protruding edges which increases the safety of the people around you and avoids ripping the material. 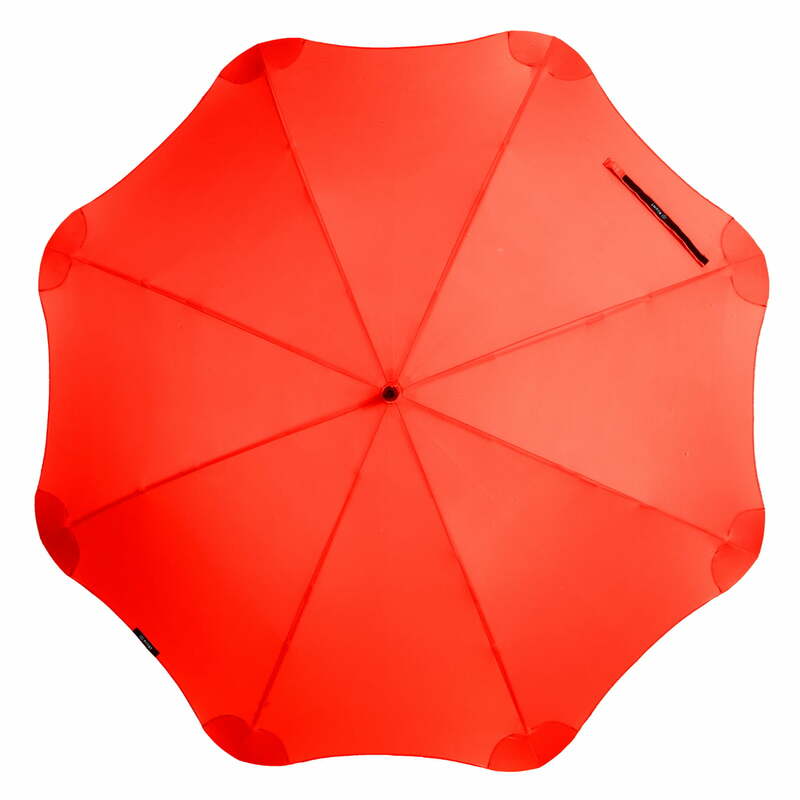 The Quick Dry polyester and latest technologies give the umbrella a strong structure and a striking appearance. The strength that comes when the umbrella is opened is spread over the whole area of tension by the Radial Tensioning System (RTS) in Blunt umbrellas. 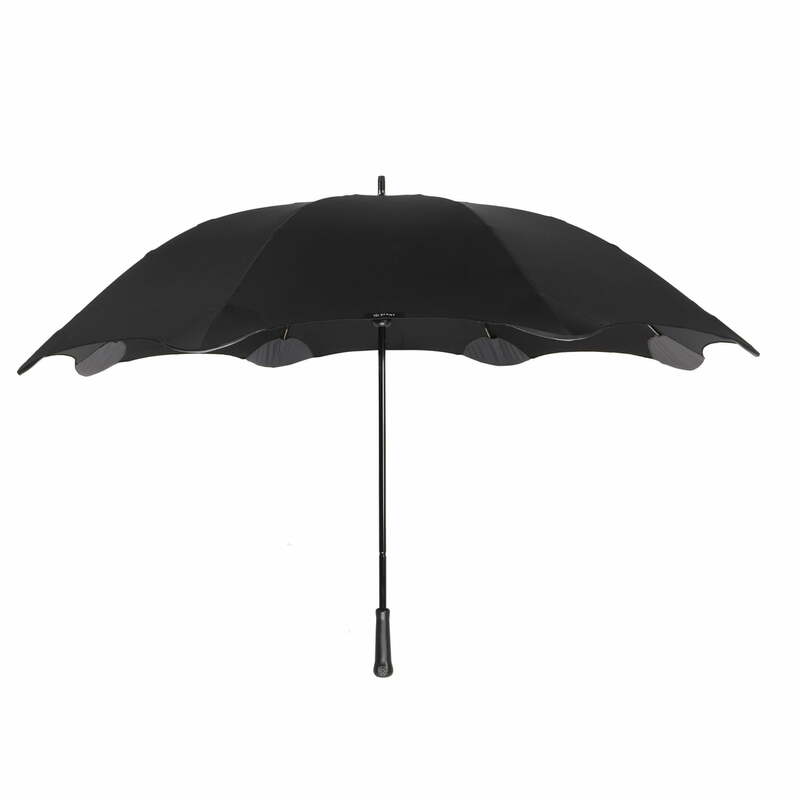 RTS thereby creates a strong, aerodynamic umbrella without sharp edges: the Blunt umbrella. In contrast to conventional umbrellas, the struts don’t have fixed lengths but are telescopic, the so-called “Floating Ribs”. These floating ribs conduct the force onwards to the patented Blunt Tips at the end of each umbrella strut. Thus the Blunt Tips unfold and spread the force over the whole edge of the material instead of only to one place. 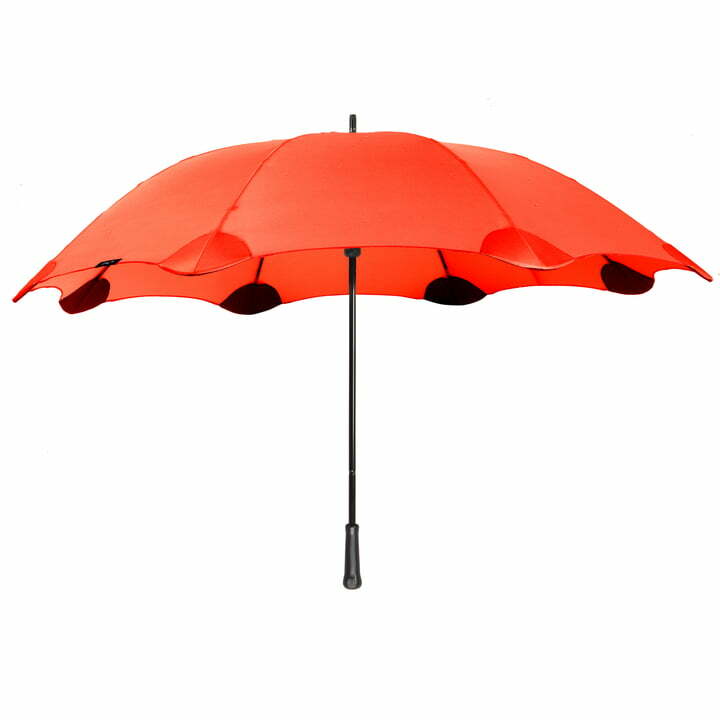 While when opened the umbrella is huge and sturdy, closing the umbrella is not easy. The mechanism on some elements gets stuck and you need to manually adjust them by hand to get the umbrella to close.